We would like to extend a special thank you to individuals and business who have contributed to the success of this project. Without your enduring support and encouragement, the reality of the Custom Harvest Tribute 2004 would not be. I am truly thankful to you now and always. 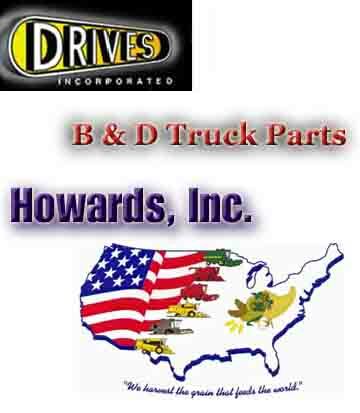 United States Custom Harvester, Inc.
Sapp Brothers Truck Stops, Inc.
John W. Hoffert - "former custom operator"
Bruce for the music and images that are inspiring. Lynda and Chuck for the documentation that has helped me share the dream. Julie and Cory for making it possible for the world to see. Shelly and Tim for making the calls to get it all going. Allyn and Kelli for your support and assistance with advertising. Pat, my wife, for giving me the love, support and freedom to persue this dream.